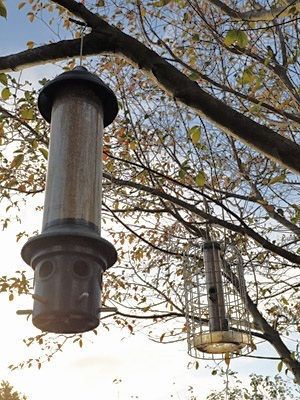 I’m sure many of you feed birds throughout the winter and probably year-round – and good on you if that is the case. Nevertheless, now seems a great time to check if you’re ready for the big weekend. 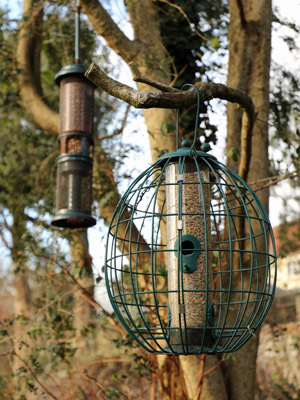 After all, it takes time for birds to learn where the best food supplies are, so adding a new meal option the night before Big Garden Birdwatch won’t give time for word to go around. In fact, as with all gardening for wildlife, I find it helpful to remember that your guests come not because you magically lured them in from afar, but because every day, one or two might pass by accidentally. If they like what they see in your shop window, then they may decide to stick around. It means that bird feeding is all about building up a clientele; it’s about earning a reputation rather than overnight success. 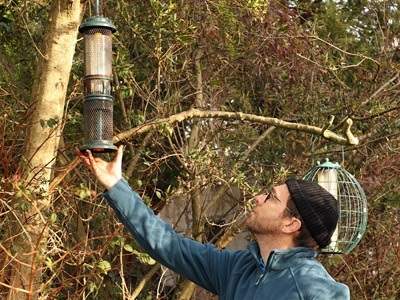 The counts you get on Big Garden Birdwatch depend on what you're doing now. So, with this in mind, I popped out into my garden to check whether I’ve got some staring gaps on my Menu. 1) Sunflower hearts. I do like these – it means no sunflower husks scattered everywhere to clear up. Bits do get scattered but underneath my feeders there is always a parade of Blackbirds, Robins, Dunnocks and Wood Pigeons to mop up the oment the spillage lands on the ground, so there's never any left for overnight visitors. 3) Windfall apples. The Blackbirds do like these, and if it is cold on the Birdwatch weekend, I stand a chance of seeing Fieldfares and a return of my Redwings. 4) Clean water. Many of the birds use the pond, but they still like the birdbath, I suspect because it is elevated and so gives them a good, all-round view. With horror, I realised my peanut feeder was empty (above). Peanuts aren't as popular as they used to be, I find, but the Great Spotted Woodpeckers still like them. I don't have niger seed for the Goldfinches, as my birds seem perfectly happy with sunflower hearts. But maybe, where you are, niger is still the number one choice for them. 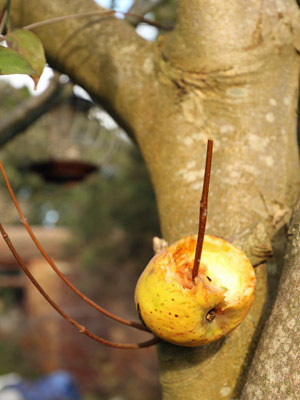 I also realised that I could do with getting some up my apples up off the ground for the Blackcaps, which is a simple matter of impaling them on pointed twigs. And the one big thing I'm missing is mealworms. They are in the buggy nibbles, but they're not very accessible for my Robins. Note to self: buy a pot of mealworms. 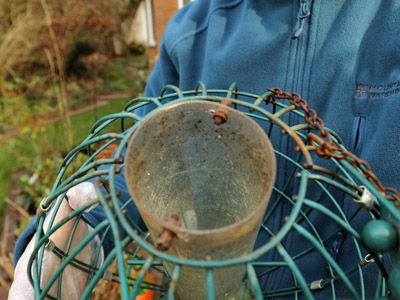 The other thing that I realised in doing my pre-Birdwatch Check-up was how much some of my feeders were in need of a clean. How shocking is this one? I hold my hands up and apologise to every bird in my garden having to eat off the equivalent of a dirty plate. 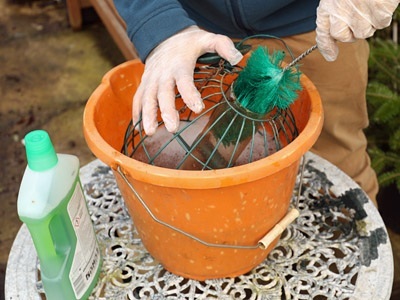 Our Greenfinches and Chaffinches are so struggling with this nasty disease, Trichomonosis, that I owe it to them to keep the feeding area hygienic.